Find the perfect gift for your most loved ones this Valentine's Day with our hand-tested Discount Codes & Vouchers. 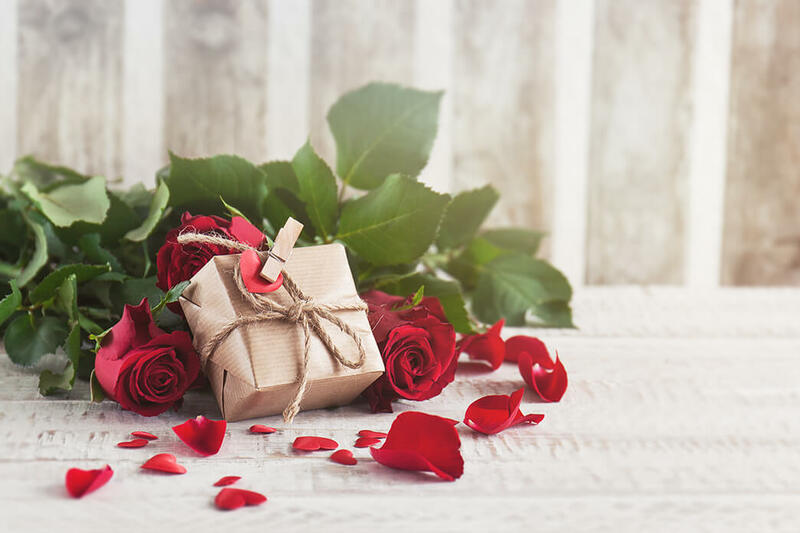 Our Valentine's Day Discount Codes & Deals special category helps you to get the best savings online when you shop from flowers to gift baskets, from hampers to chocolate gifts and many more different Valentine's Day gift ideas. Get Up to 50% off Selected Candy Buffets when you use this discount deal at Swizzels. Get 10% off Hotels in Spain and the Mediterranean over €50 when you use this voucher code at Iberostar. Get Up to 70% off clearance earrings when you use this voucher at Gemporia. Activate this discount deal to get up to 70% off Special Offers at Red Letter Days. Works sitewide. Get 20% off all orders when you activate this discount code at Little Mistress. Works sitewide. Get £10 off all orders over £30 when you use this voucher code at The Body Shop. Get up to 50% off Wedding Rings at Diamond Heaven. Use this voucher code to Get Three free deluxe samples + free delivery when you spend £40 at CLINIQUE. Activate this discount & Get Up to 30% off Selected Goodbye orders at MAC. Works sitewide. Use this discount code get 10% off all orders at Teleflorist. Works sitewide. Get 15% off all orders when you use this exclusive codes at Durex. Activate this discount deal to get up to 36% off Selected Fancy Dress Costumes at prezzybox. Get 20% off Private Sale when you use this discount code at The Fragrance Shop. Get 10% off first order with sign up at Ernest Jones. Works sitewide. Get 10% off all orders when you activate this discount code at eflorist. Get free delivery on all orders over £145 at Direct Blinds. Get up to 70% off sale items when you shop with active PrettyLittleThing discount deals & vouchers. Get 10% off on flowers & gifts + FREE standard delivery when you use this promo code at Post a Rose. Get up to 55% off Men's Sale when you activate this discount promo at Nike. Get Free Delivery at iFlorist. Get Free Delivery on all orders at Sneakerbaas. Get 20% off sale items when you use this deal at Magix. Get Up to 25% off Glass Gifts at Getting Personal. Get 15% off baby's skin & hair when you use this voucher at Fifi & Friends. Get up to 50% off Golf Polo Shirts when you use this voucher at GOLFINO. Works sitewide. Get 10% off your first order at Look Fabulous Forever. Get 20% off sale items when you use this deal at caseable. Apply this voucher code! Get 15% off first orders with sign up at Ann Summers . Works sitewide. Get 10% off all orders when you apply this bunches discount code. Get 20% off Bear Grylls when you use this voucher code at Discount London. Activate this offer to save up to 50% on selected Nip and Fab at Superdrug. Works sitewide. Get £100 off + FREE delivery on all orders over £600 when you use this discount code at Bathroom Takeaway. Works sitewide. Apply this discount code at Interflora to get 8% off all orders. Get 25% off My Spa PASS memberships when you use this voucher code. Works sitewide. Get 10% off all orders when you use this exclusive discount code at British Condoms. Works sitewide. Get 16% off all orders when you use this exclusive voucher code at Scholl. Works sitewide. Get 20% off all orders when you activate this discount code at bakerdays. Get Selected jewelry from £69 when you use this voucher at MOCKBERG. Get Up to 60% off Sale Items when you apply this discount promo at T.U.K. Shoes. Get Up to 60% off for Selected orders for Her when you use these The Fragrance Shop Discount deals. Get 20% off first orders with sign up at happarray. Works sitewide. Get 10% off all bookings when you activate this voucher code at Q-Park. Works sitewide. Get 10% off all orders over £100 when you use this discount code at Perch & Parrow. Get 10% off selected Crosswater and Bauhaus Kitchen Sinks when you activate this discount code at UK Bathroom Store. Works sitewide. Get £50 off all orders over £500 when you apply this discount code at MADE. Get £25 off City Break bookings over £150 when you use this discount code at lastminute.com. Works sitewide. Get 10% off all orders at Pauls Boutique. Works sitewide. Reveal this Jeulia voucher code to get 20% off all orders includes 2 or more items at Jeulia. Get Up to 70% off selected items when you use this voucher at intimissimi. Get up to 60% off Selected Items in the Clearance Event when you apply this voucher at Watch Shop. Students Get 25% off their orders with unidays at Forever 21. Get 10% off gift packages when you use this voucher code at Virgin Balloon Flights. Get Up to 50% off Jewellery when you use this voucher at H.Samuel. Get 19% off 2 Night Deluxe Spa Break when you use this discount at Spaseekers. Get 15% off Wedding Cards, Gifts and Wrapping at Clintons. Get up to 75% off Easter Deals when you redeem these bodum discount offers. Works sitewide. Get 12% off all orders at Octo Chocolate. The modern day fairytale is totally different to back in the day when our grandparents fell in love over ballroom dancing. Going to the theatre to see ballet or hitting up the amusement park were the typical dates of choice.